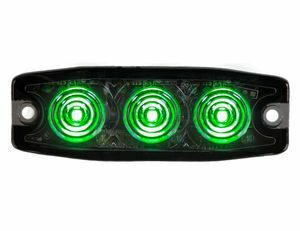 Buyers 8892239 Strobe Light, 3.5 Inch, 3-Led, Green, 12 Flash Patterns with Synchronous and Alternating Functions. 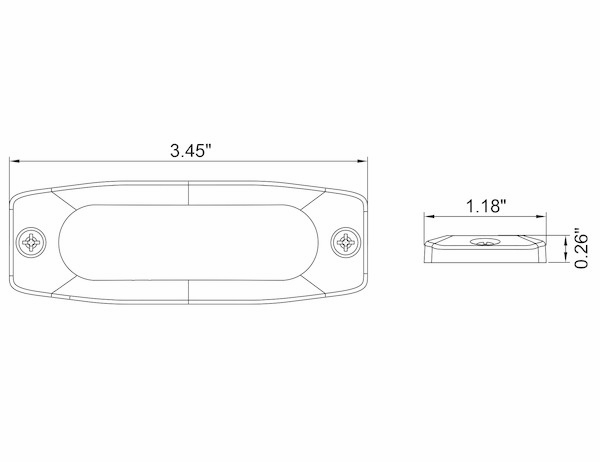 - Ultra-thin .26 in. profile mounts into tight spaces. - Lights include 3M� self-adhesive tape for simple fastening. 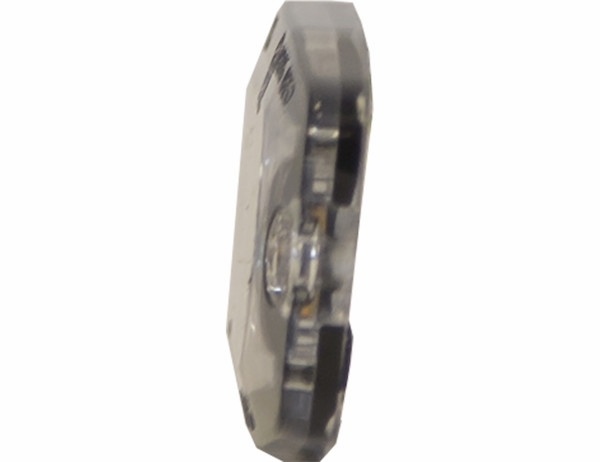 - Buyers Products Ultra Thin 3.5 Inch LED Strobe Light Series is designed with an extremely slim .26 in. profile. 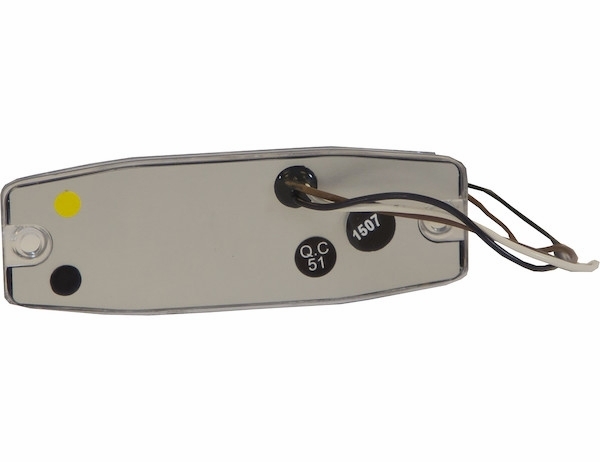 - The lights are rated SAE J595 Class 1 and CA13 certified. - They feature 12 flash patterns with synchronous and alternating functions. - They can be fastened with screws or the included 3M� self-adhesive tape. 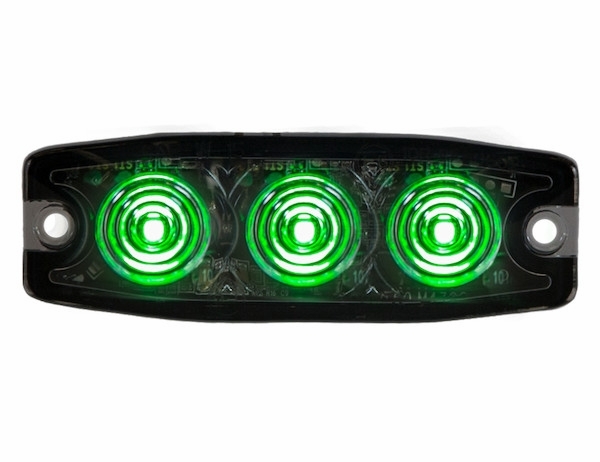 - Built to withstand the toughest conditions, the lights feature an IPX8 waterproof rating. - 90� mounting brackets are sold separately, see Accessories.